Using an in-depth process of consultation and examination, Dr. Olson will identify the root of any problems in the five S.E.N.S.E. areas. In a third visit, he will give a report of findings from the exam, explain the treatment plan he feels is necessary for the patient to enjoy maximum wellbeing, and begin the treatment process. In this visit, Dr. Olson will spend approximately 30 minutes getting to know you and your unique health situation. He will help you establish your health goals, and determine how you can achieve them. He will also tell you whether or not he can help you along that path. First, Dr. Olson and a chiropractic assistant will take you through a series of computerized scans. 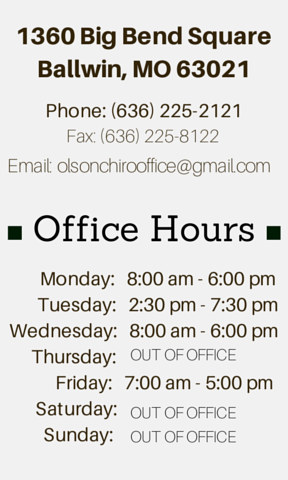 Then Dr. Olson will conduct a careful and thorough evaluation of your physical structure and nerve system, as well as a Traditional Chinese Medicine evaluation of the balance of your body’s systems. The exam will give him the insight needed to treat the underlying cause of your condition. In this visit, Dr. Olson will discuss the exam results with you, and present the healing plan he will have prepared for you. If you accept the treatment plan, you will receive your first treatment during this appointment. Cost: Will be based on treatment modality (see Menu of Services).